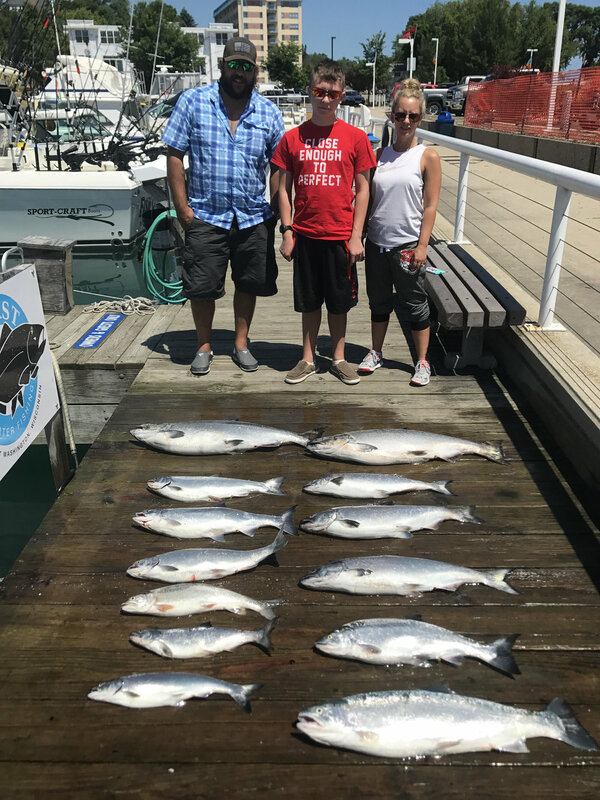 With July coming to an end, Port Washington Charter fishing has remained fairly consistent. Coho salmon have surprisingly stuck around in good numbers for most of the month and have made up a good part of our catches. There have been some slower trips, but most morning we have been getting double digit catches. We were fishing anywhere from 80 feet of water all the way out to 400 feet with no depth really being consistent. 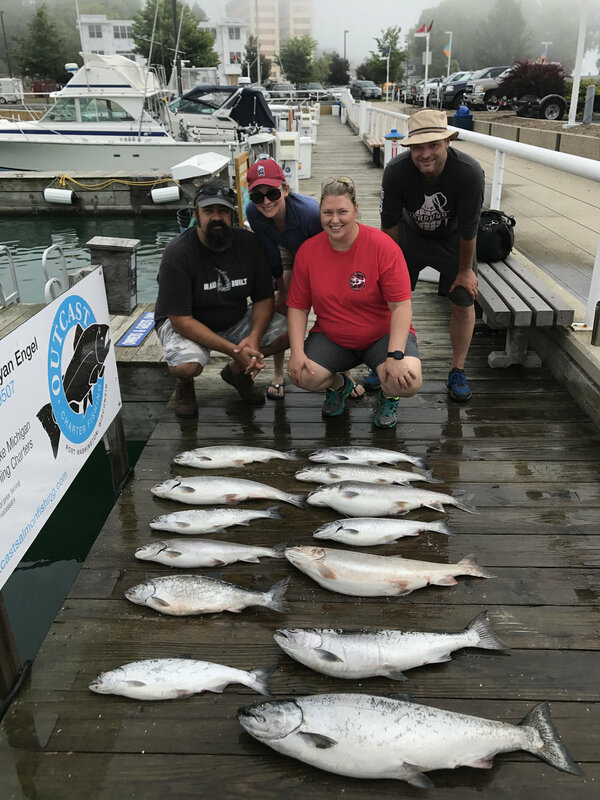 This past week we have been landing a few more Chinook salmon and we are anticipating that this will continue through the end of the month and into August. We have also been getting a few steelhead and some lake trout in the mix but not in any consistent numbers. This is a great time of the year for big Chinook Salmon out of Port Washington. There have been some reports of Chinooks over 30 pounds caught this summer and we have gotten a few nice ones around the 25 pound range. Call Outcast Charter Fishing today at 262-227-9507 for your chance to catch a BIG KING.